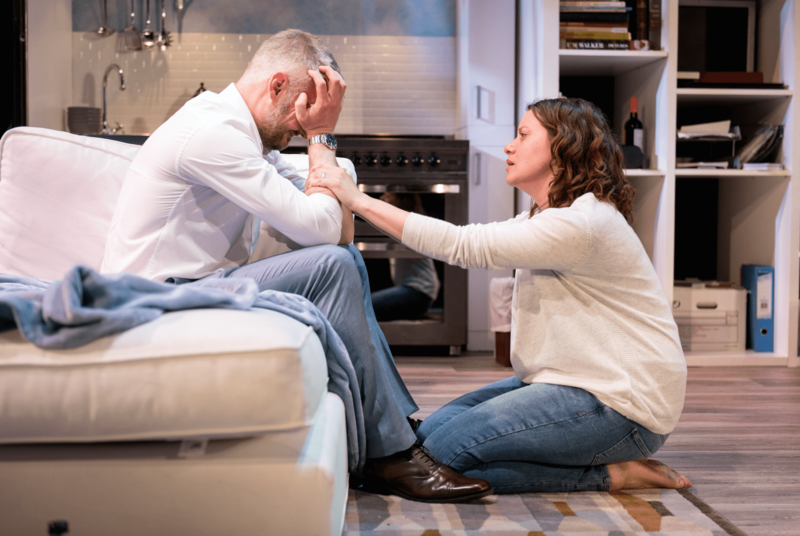 The Quiet House is a compelling play that showcases some exceptional acting through the story of a couple who are struggling to conceive a child. The theme of fertility is something so familiar to a multitude of people, yet rarely covered in such a raw piece of theatre. 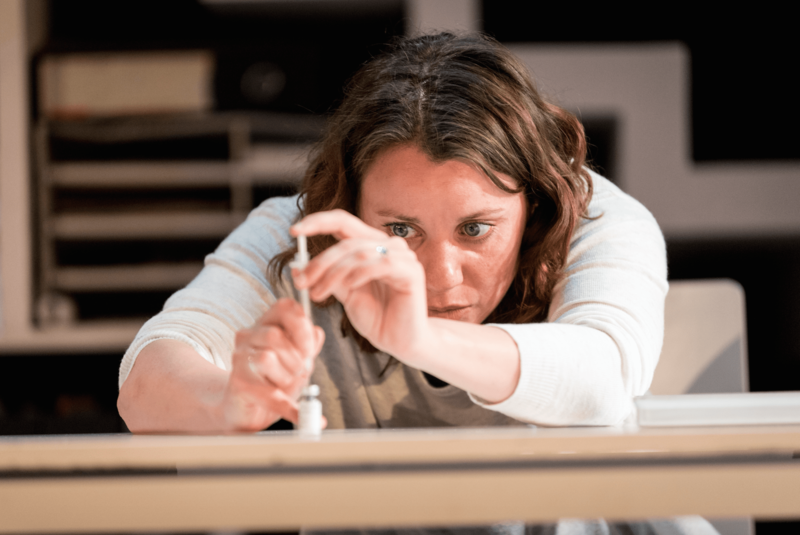 Opening at the Birmingham Repertory theatre, The Quiet House is staged in their smaller but much more intimate performance space which works incredibly well for the piece. The staging designed by Ana Inés Jabares-Pita is a contemporary flat, all cleanly designed in white that reflects the light, creating a clinical feel. 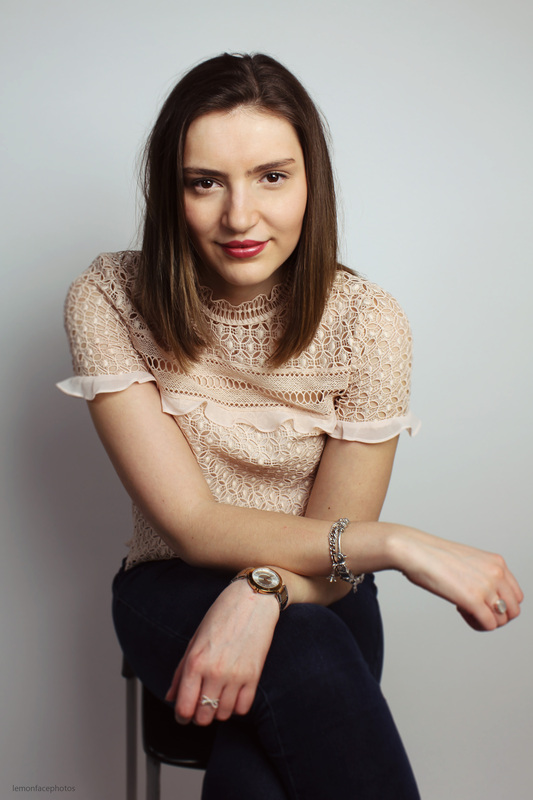 The transitions between each scene work effortlessly, director Tessa Walker has maintained the fluidity and pace of the performance with the frequent echo of a ticking clock, representing the time running out for the couple Jess and Dylan to conceive. After struggling to have a baby, they decide to embark on IVF treatment which puts a strain on the relationship as tensions run high. It’s an interesting look into each perspective of how it affects both Jess and Dylan’s lives. Jess, played by Michelle Bonnard struggles to come to terms with the constant pain and hormones. Although Dylan, played by Oliver Lansley, is under a huge amount of pressure at work and is too embarrassed to ask for help. In regards to IVF treatment, the woman is commonly empathised with as they have to go through a vigorous amount of treatment, whereas the play also recognises the stress and pressure on the man. Dylan struggles to inform work that he needs time off and can’t work extra hours because he is embarrassed and feels it degrades his masculinity. Dylan’s boss Tony, played by Tom Walker, tremendously plays the persistent pressure that Dylan struggles to cope with. His selfishnesses almost reflects a tiny voice inside Dylan’s mind, telling him to think of himself and his career. Walker sublimely captures the manipulation of the role as he uses the frustration in his voice to question Dylan. The dialogue is excellently written, the back and fourth conversation between Dylan and Jess spans across an abundance of emotions. Michelle Bonnard is one of the finest actors I’ve seen on stage as she has crafted the role so naturally. She frequently bursts into a series of touching monologues as if she is speaking directly to her unborn child. These moments flicker between humour and distressing emotion. Oliver Lansley’s interpretation of Dylan is powerful as he maintains a pillar of hope and strength throughout the piece whilst at home, yet when he arrives at work he panics and starts to lose control. His continuous love and devotion towards Jess through their struggle is conveyed beautifully – their chemistry is encapsulating. Bonnard conveys flawless acting as she breaks down to the floor in tears, screaming at her husband in agony as she is hit with the sudden loss of hope when her pregnancy test comes back negative. Another complication is their upstairs neighbour Kim, played by Allyson Ava-Brown, who has a newborn baby. The incessant screaming from the baby creates a sense of anxiety on stage, as the waiting game begins. Each time the couple are awaiting the results of the pregnancy test, the two minutes is played out in real time on stage, each time even more uneasy than the last. The Quiet House is outstandingly written and incredibly acted, a highly thought-provoking and emotionally absorbing piece of theatre. The Quiet House is on at the Birmingham Rep until the 4th of June and tickets can be found here.